Gov. 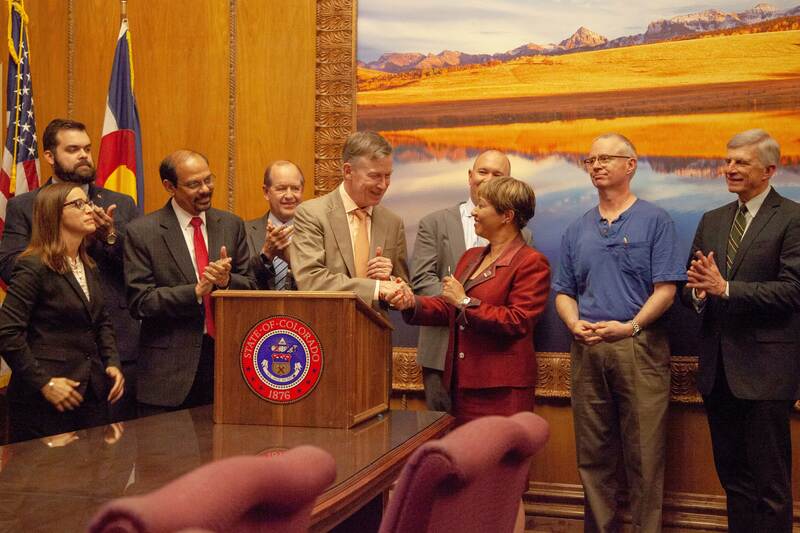 John Hickenlooper signs SB 18-086 “Cyber Coding Cryptology for State Records” into law May 30, 2018. Cybersecurity initiatives at UCCS will be the topic for a campus Town Hall event 10-11:30 a.m. April 22 in Berger Hall. Vice chancellors Tom Christensen and Martin Wood will provide updates on the current and future projects. UCCS receives $1.8 million per year for at least three years through Senate Bill 18-086 to support the education, training and workforce development with scholarships for students in cybersecurity and blockchain technologies, new faculty positions and research. UCCS was designated as the lead university in Colorado for cybersecurity efforts and must report to the state each October on progress made in the area. A list of program activities and current status of projects is available at https://www.uccs.edu/csi/. Attendees are requested to confirm attendance by emailing rsvp@uccs.edu.